Most tourneys play Saturday and Sunday. 4GG featuring 3 pool play games, followed by a single elimination tournament. The tournament will be seeded based on pool play results. Pool play games will last 60-65 minutes, finish the inning. Tournament games will last 70 minutes, finish the inning. Championship games will last 75 minutes, finish the inning. Highest seeded team is home. What about the World Series? Our World Series format is different, featuring a double elimination, 5GG. The rest of the format is the same as our other events. The World Series also features special events like Opening Ceremonies, Skills Competition, and a Pool Party. An optional College Exposure Clinic is also available to players and teams. Learn more on our World Series page. ASA/USA rules, officiated by certified umpires. Our fastpitch season runs from September 1 – August 31. Cutoff is December 31. Registration closes four days before the event. However, we reserve only 8 spots per age group, so we recommend registering early to reserve your spot. Do I need to submit rosters and insurance? Two signed copies of your roster plus the team’s insurance must be maintained in the team’s dugout at all times. The tournament director may request these documents. Are USFPO events stay to play? No. But USFPO and its local CVB partners often establish a tournament hotel with attractive rates and extra benefits for teams. Contact us to learn more. Yes. Gate fees will be collected during each day of our events, unless they are included in the registration fee as indicated on the tournament registration page. Do you charge sanction fees? No, we do not charge sanction fees. 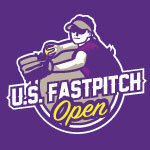 U.S. Fastpitch Open (USFPO) registration fees are non-refundable. If a team must withdraw before the event, the tournament director at his/her sole discretion may issue a credit toward a different USFPO event. The only exception to this policy is in the event USFPO cancels an age group or entire event for any reason, in which case a full registration fee refund will be issued. What's your weather refund policy? If USFPO is unable to complete a tournament due to weather, registration refunds will be issued as follows: no games started, 75% refund; 1 game started, 50% refund; 2nd game started, 25% refund; 3rd or more games started, 0% refund. No refunds are issued on gate fees. Weather related registration refunds will be issued within 10 days of the completion of the event.